Most tractors have four wheels. That is a standard configuration and deviations from it can only be found in history. However, there are exceptions – the Challenger Terra Gator TG 8333 is a modern machine and yet it only has three wheels. Why? What does it do? Challenger Terra Gator TG 8333 is a self-propelled nutrient application vehicle. In other words, it spread fertilizer on the fields and does that very efficiently just because of how huge it is. It has telemetry equipment, adaptive suspension, GPS-controlled autopilot and loads of other technology. The tractor in the picture below is spreading hard organic fertilizer- manure, but some other modifications can be used to spray liquid fertilizers. In fact, one three-wheeled Terra Gator can hold as much as 16 cubic meters of liquid fertilizer – that is more than 16 tons of weight. Despite the massive size of this Terra Gator, it is supposed to be easily controlled. 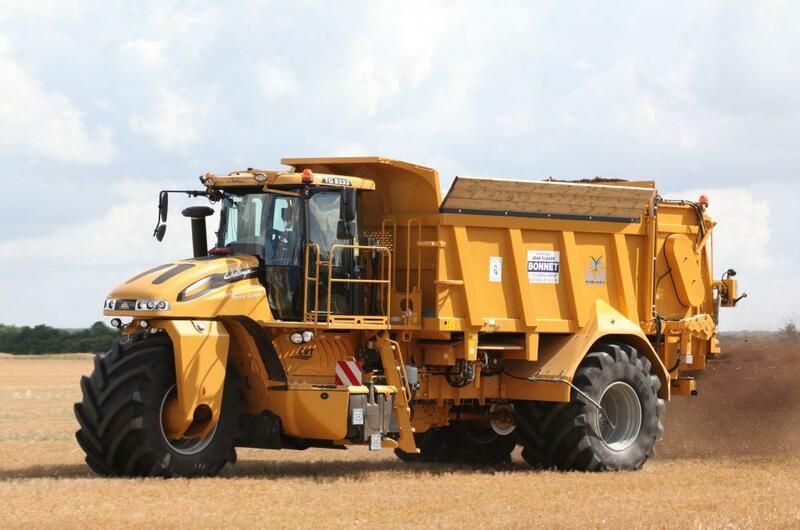 After climbing a set of stairs, the operator will find a comfortable workplace with a supportive seat, touchscreen, climate control and other equipment. But we are not selling you this tractor – we are more interested, why it has only three wheels. The reason why Challenger Terra Gator TG 8333 has three wheels is weight distribution. Farmers do not want to compact the soil, especially when they are ready for fertilizing. It is harder for crops to grow in a compacted ground and heavy equipment squeezes out the air from the dirt, essentially reducing the harvest. Four-wheeled tractors may have a better weight distribution, but the rear wheels are following the front ones and, therefore, dirt that gets under the wheels gets driven over twice. It is also the reason why Challenger Terra Gator TG 8333 has such wide tires – they spread the weight of the machine over a bigger area. 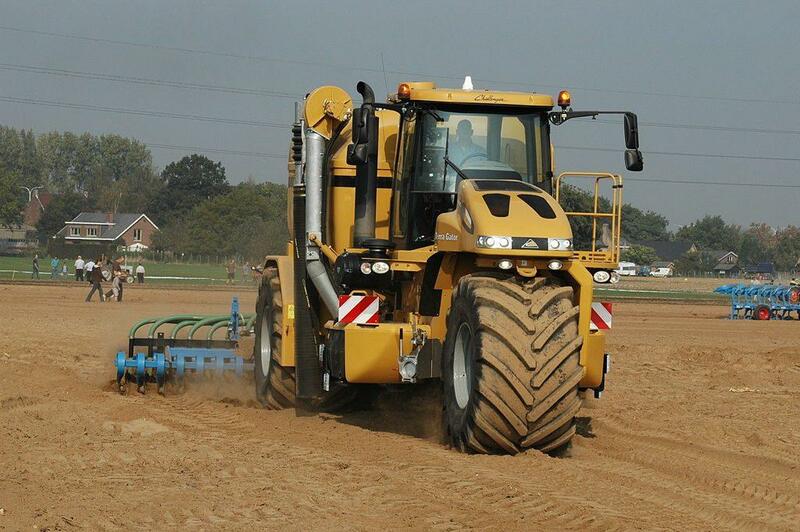 Other manufacturers apply different solutions to solve the issue of compacting the soil. Some use narrower front axles, while other fertilizers employ dual wheel arrangements. And then there are farmers who simply use lighter machines to not compact the ground too much. Interestingly, Challenger Terra Gator TG 8333 is all-wheel-drive – all three wheels are driven. The front wheel, used for steering, is powered hydrostatically. Three-wheel configuration also allows for a better manoeuvrability – the front wheel can be turned by 75 degrees – it would be difficult to achieve that having two front wheels.